If one want to make your event hit among the guests then it is very important for to arrange for the best entertainment. There are scores of entertainment options available from which one can select any artist or performers at the event. One can select from musicians, magicians, or dance performers to entertain the guests. However, to make your remarkable and memorable one must arrange from some unusual entertainment like a Bagpipe Band in Delhi . The sound of the bagpipe is incredible and will surely grab the interest the guests and make the event hit. These days one can find numerous bagpipe bands that perform at various events like corporate events, wedding celebrations, college events etc. These bagpipe bands are really professional they come prepared with their entire instrument and are well-dressed in the traditional bagpipe attire that adds more charm to their overall performance and grabs the attention of the guests at the event. Moreover, depending on the events requirement they can alter their performance. To find the best bagpipe band in Delhi one can contact a professional event or artist management company. These companies have the contact with the professional bagpipe bands. These companies even help and suggest people to make the selection of the best bagpipe band or other artists for the event. They have the best event and artist management professionals who provide bespoke solutions to the clients. Additionally, they arrange for the best entertainment depending on the requirement and within the set budget of the client. They never hassle and provide the best service to the clients. They are really quick in arranging the bagpipe band or any other artist because of their large network and contacts. By browsing the web one can come across a lot of event or artist management companies that offer their services in arranging the finest and professional Bagpipe Band in Delhi. 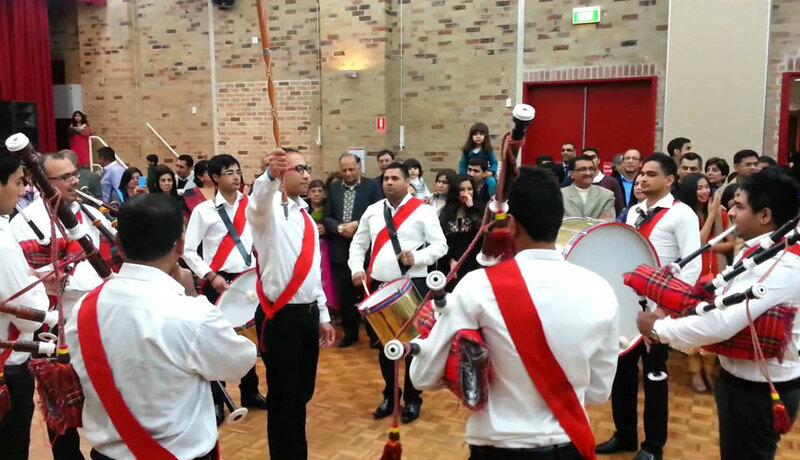 Highly experienced team of our organization offers Bagpipe Band, brass band, fauji band, to the prestigious customers. This service is carry forward by the team of experts in complete descent manner. It is highly appreciated by the clients for its great performance and high level of decorum maintained in the group. Our service is flexible and is being offered in the most reasonable rates. In addition to this, each and every individual of this group is properly trained. We are providing Experienced Bagpiper Band , brass band, pipe band, Musical Group, Tabla Player, Mandolin Player, Mouth organ player, santoor player, Octapad Playes, Drummer Players, Indian Percussion Artist , GUITARISTS, Saxophone Artist, Violin Artist, Cello Artist, Bongo player, Thumba, Dholaki player Accordion, Bugle, Pipe Band, Trumpet Player, Flute Artist, Clarinet Artist , Martini Dancers , entertainers, TURKISH BELLY DANCER, UKRAINIAN BELLY DANCER, UZBEKISTAN BELLY DANCERS, LEBNESE BELLY DANCERS, Bartenders, grapple, Models, and so forth at Reasonable rates in over India.